Naively when I asked Mr Bingo to send my 6 month old boy a Hate Mail postcard I thought he’d say something twisted but funny. This is just D_A_R_K. 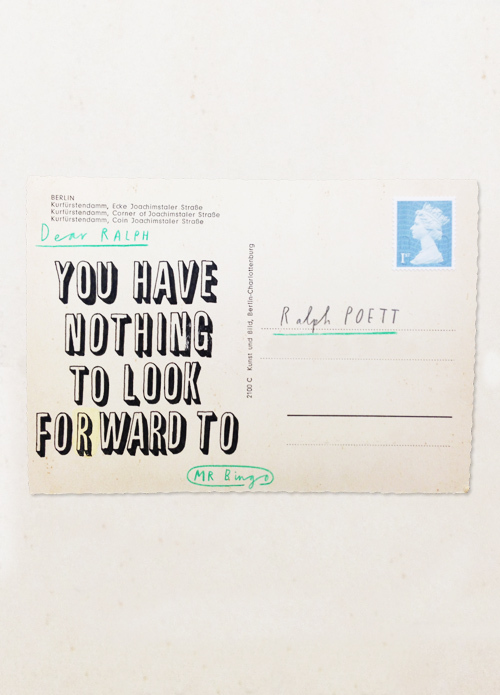 Ralph’s damning hate mail, thank you Mr Bingo.